Hi everyone. It's Wednesday and that means it's time for another challenge at MFPaHC. 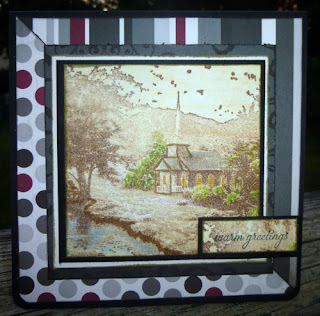 Challenge #56 is a technique challenge to create faux tearing. I opted to do this with a mask. After first stamping my fish from the Wealthy Fish stamp set, I created a mask, then stamped the bamboo over the fish. 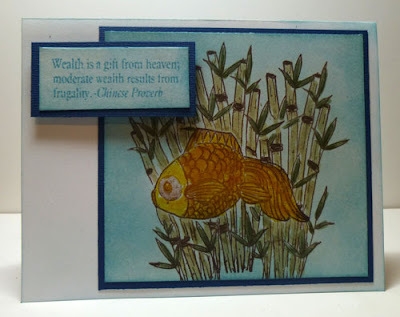 Using Ranger Distress Markers, I colored in the fish and the bamboo and used Clearsnap Ink around the image before matting with blue cardstock. 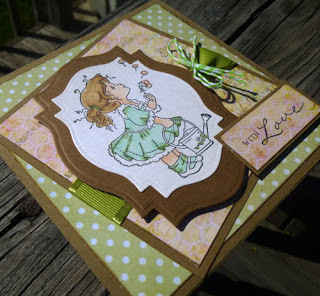 The sentiment stamp is also from this set, was stamped with Clearsnap Ink and added ot the card with foam adhesives for dimension. Don't forget to enter this challenge here. Hi friends. It's time for a new challenge at The Crafter's Cafe. Our sponsor this week is Rick St. Dennis with the theme of Anything Goes! 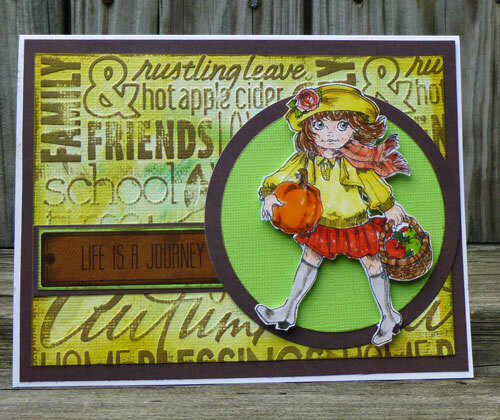 Isabella Blustery Day is an awesome image that is perfect for fall. 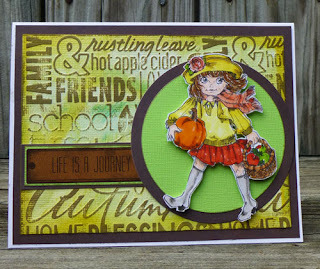 I paired her with a background I created using Ranger Distress Inks and water plus a Cuttlebug embossing folder once dry. I then lightly inked the embossed areas with Ranger Distress Ink. Isabella was colored with Copic Markers and then fussy cut. I popped her on 2 circle layers before adhering it to the card. Thanks for stopping by today and don't forget to enter here for your chance to win a prize. Good morning everyone. It's time for another challenge at Cornish Heritage Farms and this week Kristine has asked us to use a sketch. 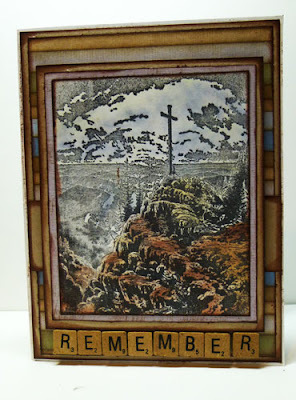 I've used this amazing Streams of Living Water stamp from Thomas Kinkade, stamping the image on glossy cardstock with Clearsnap Chalk Ink. To add a little color, I used Zig markers for the greenery, the church lights, the roof and the stream. Based upon Kristine's sketch, I chose to cut the stamped image into a square, matting it with black and white cardstock. The sentiment is from Script Essentials and was stamped on a portion of the image which I cut apart in the previous step. This was also matted with black cardstock and added to the card with foam adhesives for dimension. 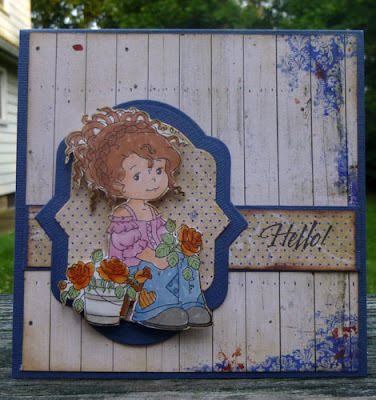 It's another reveal at Prickley Pear Rubber Stamps and you need to see the awesome stamps and dies they have in stock. Some times you just need to create your own pattern paper and, using the Happy Birthday stamp (DD0168), that is what I did, stamping Happy Birthday on a piece of pink cardstock. 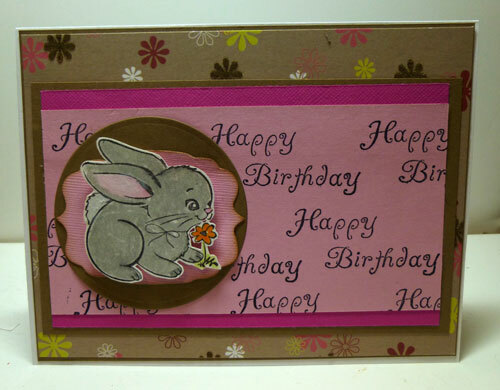 The bunny (FF0153) was colored with Zig Markers, added on a Prickey Pear die for dimension then added to the card. Hi everyone. I am, unfortunately, not at CHA this year. Time just didn't allow for it. 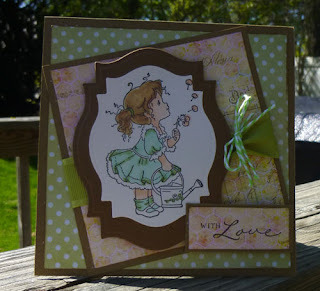 But I have been creating with some awesome new Clearsnap goodies that are being released at the show. You've seen the introduction to Surfacez Ink and the amazing colors that are available. Let me show you what I've been creating with Surfacez Inks. 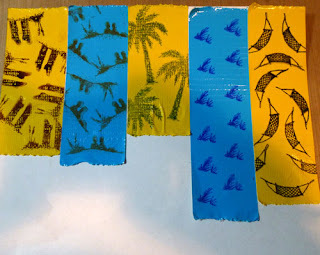 Since they are permanent on many, many surfaces, I thought I'd create my own Washi Tape using Surfacez Inks, duck tape and some summer stamps from Our Craft Lounge. 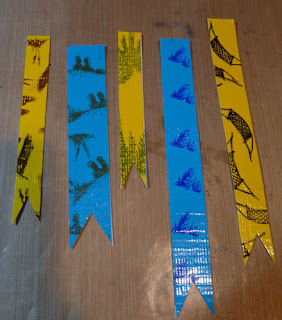 Placing varying lengths of duck tape on a craft mat, I stamped assorted designs on each piece. Because I wanted nice clean edges, I placed the stamped duck tape on scrap paper and trimmed each strip to size. Moving onto my card, I spritzed a white card with the new Spritzers in Mudslide and Moody Blue. These Spritzers are dye ink sprays and come in some awesome colors. I used a baby wipe to move the colors around the card, creating a watercolor effect. I then adhered the duck tape strips to the top of the card and adhered a sentiment to the lower right corner. I am really enjoying these new products and I hope you get your hands on them very soon! Hi everyone, it's Wednesday and that means it's time for another challenge at MFPaHC. 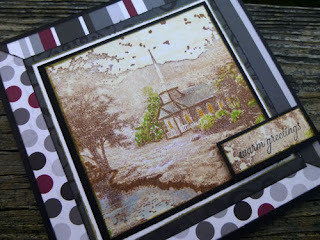 This week's theme is cards for men and I found the perfect stamps in the Country Charm and Lucky You stamp sets. 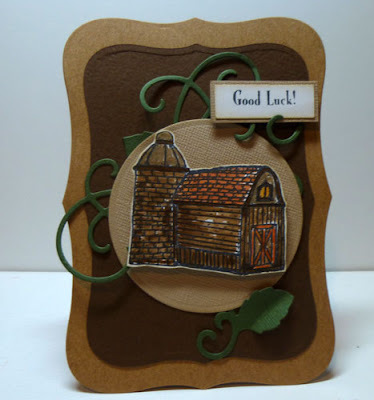 This barn was the perfect image to use as a center point of the card, was colored with an assortment of Zig Markers and then fussy cut. 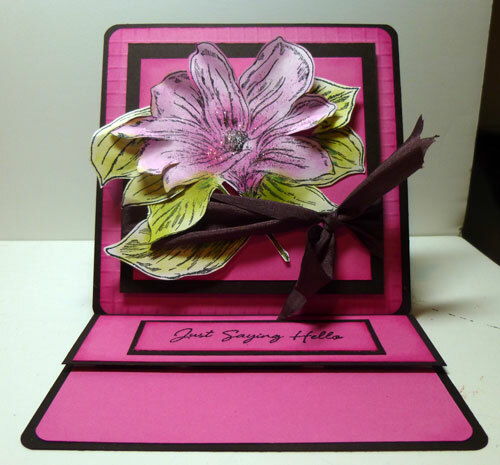 I created the card using Spellbinders dies with Kraft cardstock. After placing my second dark brown layer on top, I die cut the flourish from green cardstock using a Heartfelt creations die before adding the die cut circle. The barn was added with foam adhesives for dimension as was the stamped sentiment. Click here to add your creation for a chance to win a prize! 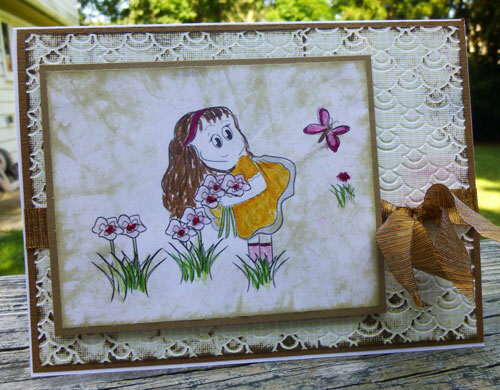 This digital stamp from Cornish Heritage Farms is called Buttercups Digital Image. While I adore rubber stamps, sometimes it's nice to use a digital stamps because you can change the size of the image you wish to use. 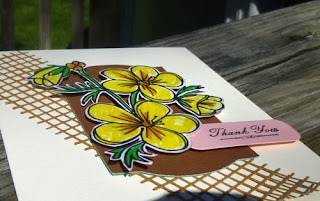 I colored the Buttercups with Zig Markers and decided to cut them out to truly focus on the beauty of the Buttercups. To keep the card simple, I used a mesh die from Cheery Lynn Designs and placed it across my card before adding the center die cut. The Buttercups were placed on top with foam adhesives for dimension. 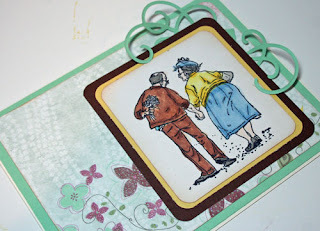 The sentiment is a rubber stamp from Ornamental Beauty and is the perfect sentiment for my card. 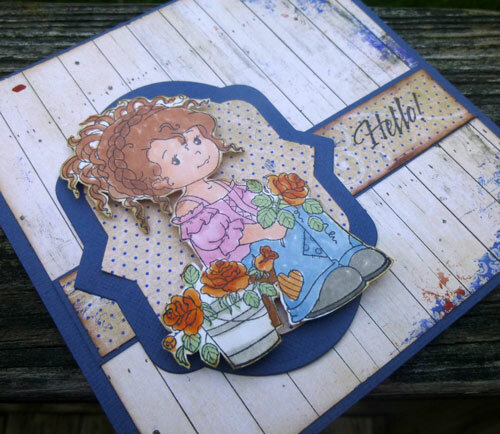 Have you checked out the stamps and dies from Prickley Pear Rubber Stamps yet? 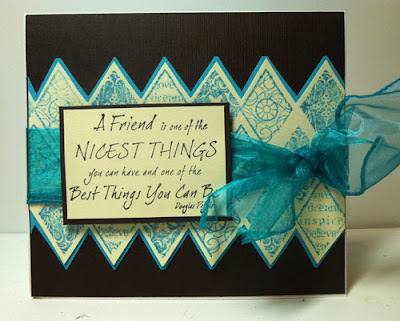 If not, you should see the fun assortment of stamps and dies they have in stock. 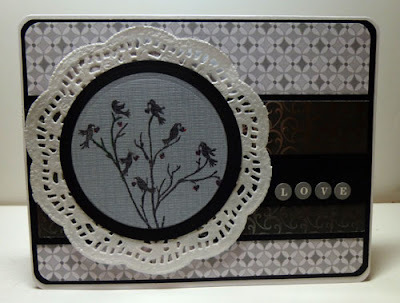 The rubber stamp I used here is Ravens with Hearts and was stamped with black ink on gray cardstock. The doily was added behind for a lacey effect. To keep the focus on the image, I used tiny stickers for the sentiment. Hi friends. It's time for a new challenge at The Crafter's Cafe. Our sponsor this week is Creative Bugs with the theme of Anything Goes! I chose this whimsical garden image to work with, coloring her with Zig Markers. Ranger Distress Ink was added around the image and then mounted on brown cardstock. The base card itself is white with a layer of brown and an embossed sheet of yellow on top. May Arts ribbon helps tie it all together. Challenge #54 for the Simple Salutations team is Holiday Time in July. So it's time to create a holiday themed project - whether it be Halloween, Thanksgiving, Christmas or another holiday. It's your choice. 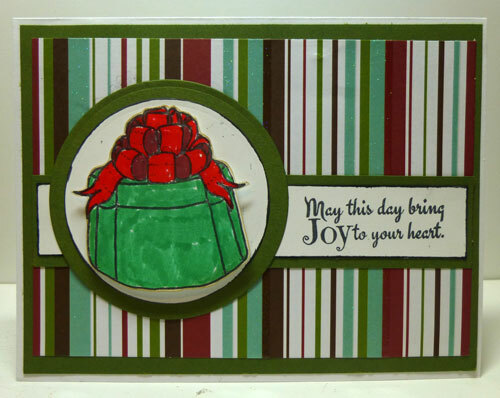 I'm loving the new stamp sets I received and knew that Christmas Presents stamp set would be the set to use for this challenge. After coloring the package with Zig Markers, I cut out the package and placed it on 2 Spellbinders circle dies, placing the sentiment beneath. It's a new challenge at Cornish Heritage Farms, and Anne has asked us to use a lighthouse. There are many lighthouse digital stamps in the Cornish Heritage Farms store and I chose Lighthouse 3 which comes with a beautiful sentiment. I colored the image with Zig Markers, then placed the image on blue and orange cardstock, picking up the colors from the Zig Markers I used. Don't forget to stop by everyone's blog today for more inspiration. Hey everyone. It's a new challenge at Oozak.com and we are being asked to create with texture. Texture really adds a powerful punch to creations, but sometimes it adds a bit too much bulk. 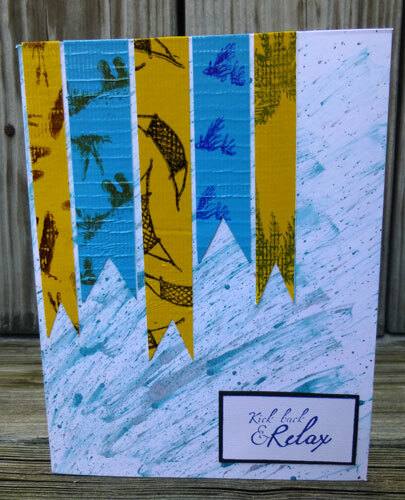 So for this challenge, I created texture by using my Scor-pal to create the diagonal lines on my card. Swiping brown ink around the card really helped emphasize the texture created by scoring. The stamp is from Whimsy - Little Gardener and is so sweet. I used Copic markers to color her and added a lightly shadow around the image. Pop by the Blog and enter your creation today. Hi everyone. 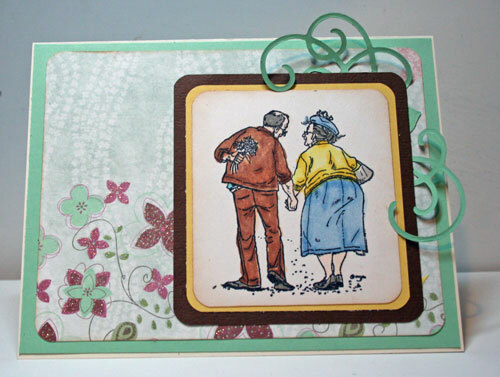 Have you checked out the stamps and dies from Prickley Pear Rubber Stamps yet? 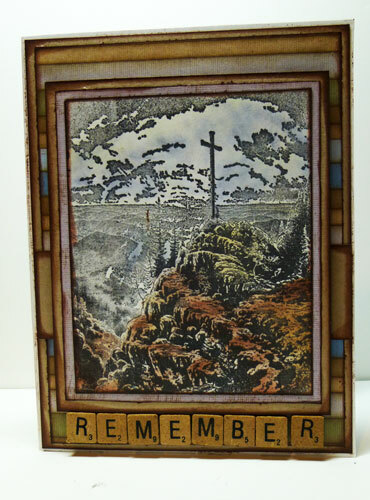 If not, you should see the fun assortment of stamps and dies they have in stock. Well, I've decided that it's Christmas in July this week and I've been working on Christmas Cards. 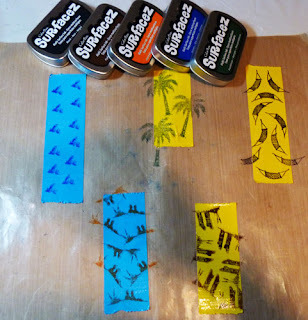 Using the Cardinal Clear stamp set, I stamped the cardinal on Kraft cardstock and die cut it with the matching die. Then I colored him with Zig markers. 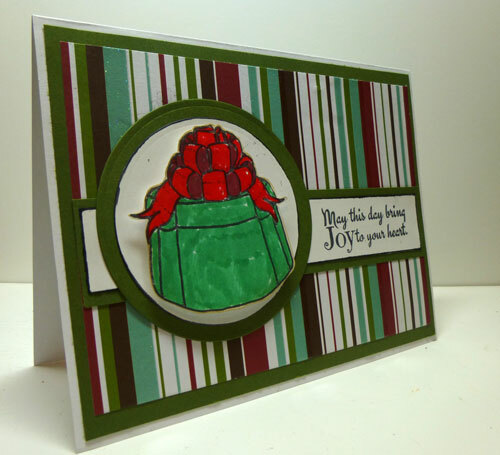 Included with the stamp set is a music/pinecone stamp which I stamped repeatedly across a sheet of white cardstock. Placing some die cuts from the Gears die cut around the page, I sponged brown ink over the whole piece. I spritzed the cardstock with Clearsnap Vanilla Ice Smooch Spritz for a little pizzaz, then tied some May Arts ribbon and twine together. 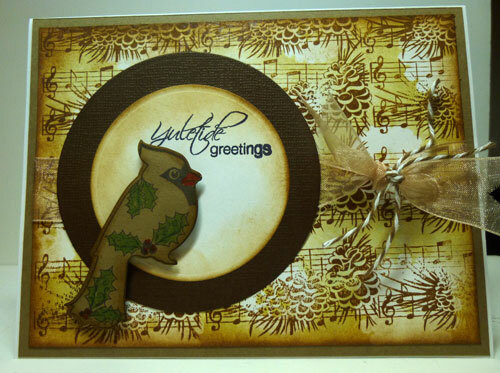 The cardinal was placed atop Spellbinders dies. Hi everyone, Steph here today and I'm excited to be working with both the Scor-Pal and Clearsnap teams this month. 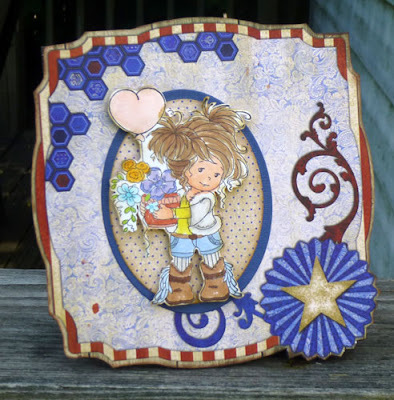 This project is posted on the Scor-Pal blog today. Just Saying Hello Easel card. 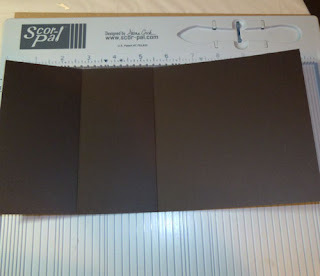 Cut brown cardstock to 5 1/2" x 11". Score at 2 3/4" and 5 1/2" and fold on the scored lines. Cut a second piece of brown cardstock 5 1/2" X 5 1/2" and adhere to the 2 3/4" section using Scor-tape. 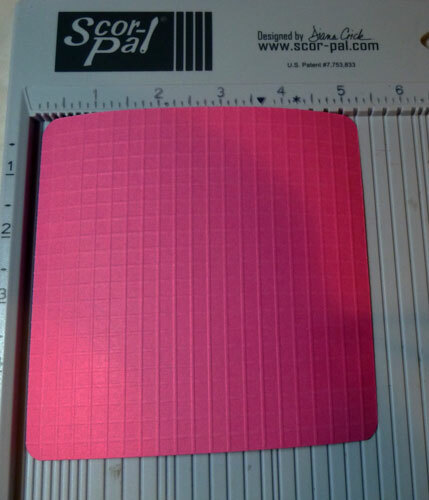 Cut pink cardstock 5 1/4" x 5 1/4". 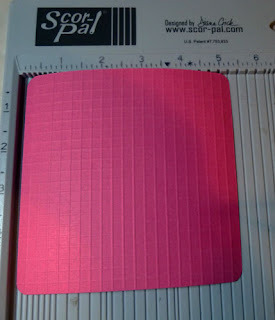 Score every 1/4" across the cardstock. Rotate cardstock 90 degrees and score every 1/4" across. 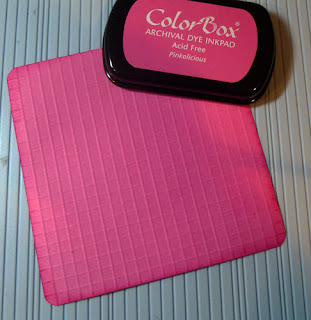 Ink around the edges of the pink cardstock using ColorBox Pinkolicious Archival Dye Ink. Cut pink cardstock 4" x 4" and ink the edges with Pinkolicous Archival Dye Ink. Mat with brown cardstock cut 4 1/2" x 4 1/2". 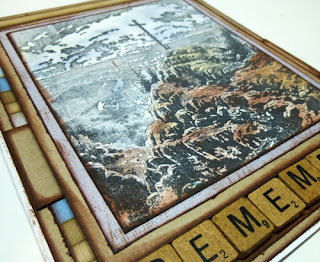 Wrap brown ribbon around the panel and add to card with foam adhesives for dimension. 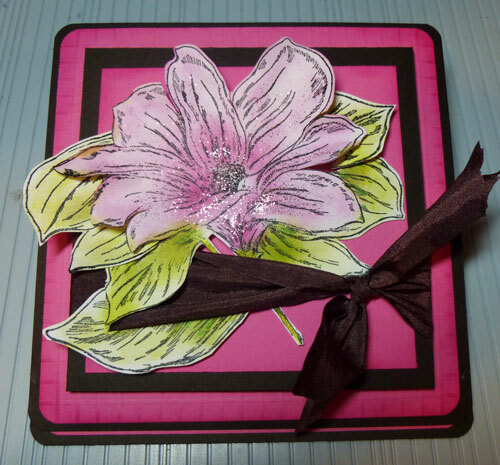 Stamp a large flower image using ColorBox Chalk Ink - Blackbird. Emboss with Black Embossing Powder. 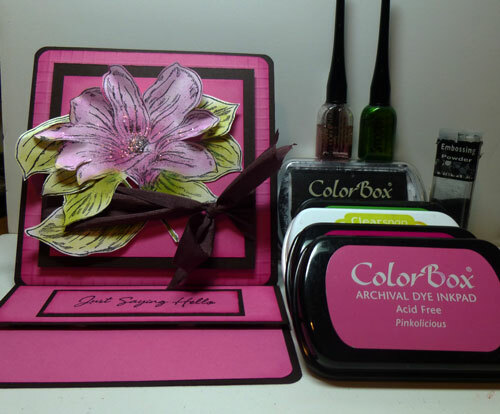 Color the flower using ColorBox Pinkolicious Archival Dye Ink. 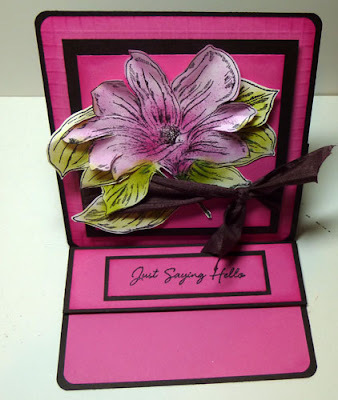 Add some definitition by adding ColorBox Very Berry Archival Dye Ink to the center of the flower. Color the leaves using ColorBox Jalapeno Dye Ink. Add some definition by adding ColorBox Grasshopper Archival Dye Ink to the bottom edges of the leaves. 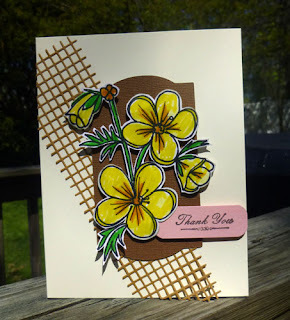 Add Green Apple Smooch Ink to the flower stem. Paint Pink Fizz Smooch Glitz onto the flower, with a heavier concentration in the center of the flower. Cut out the flower and leaves. Remove some of the leaves and reposition the leaves once the flower has been added to the card with foam adhesives for dimension. Stamp a sentiment using Blackbird Chalk Ink and emboss with Black Embossing Powder. Ink edges with Pinkolicous Ink and mat with brown cardstock. 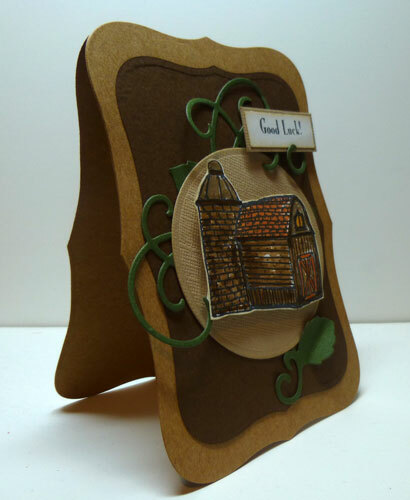 Add to card base using foam adhesives - this helps the card stand. Hi everyone. Challenge #53 at Mark's Finest Papers Stamps is to create Anything with Wings. I received the lovely Dragonfly stamp collection and wanted to show off how beautiful they can be. 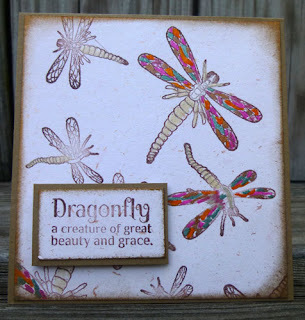 Stamping the Dragonflies randomly on cardstock, I colored several with Clearsnap's Smooch Ink. It's Thomas Kinkade week at Cornish Heritage Farms and I I'm using this amazing Sunrise Stamp . I am in awe of the possibilities this stamp! I stamped the image with Clearsnap Blackbird Chalk Ink on white cardstock. 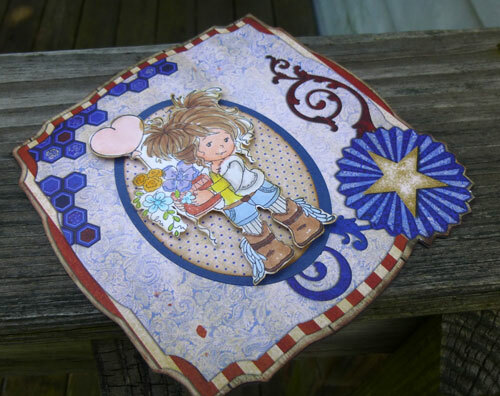 Allowing some time for it to dry, I then colored in the rocks and grassy areas with Tim Holtz Distress Markers to add a little color. For the sky, I used Broken Chine Distress Ink and a water brush to get a subtle coating of blue. 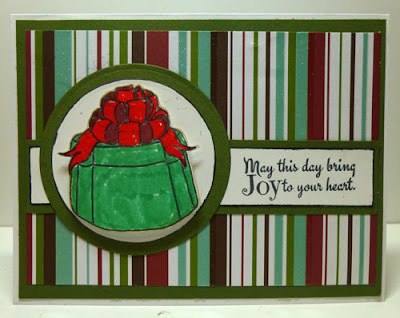 I chose a coordinating striped pattern paper with which to create my card. The sentiment was created with scrabble tiles in my stash forever and I thought it was about time I used them. The triangular shaped stamps is from the Gears2 Clear set and the sentiment is Nicest Things rubber stamp. I stamped the image repeated across my cardstock, then cut out as shown. I tied a large ribbon around the center and added the sentiment on top. Here's another look at Stampavie's Jack and Ginger today. I used a pre-made card, and cut green Wausau Cardstock to fit the front of the card. I then used a sheet of awesome glittered pattern paper from the Love Letters collection as my next layer. 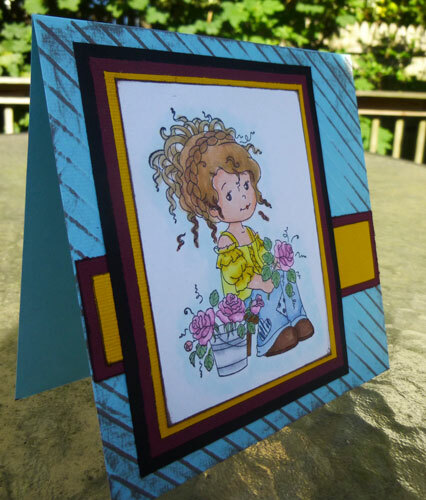 Jack and Ginger was colored with Copic Markers, then matted on yellow cardstock from Graphic 45's Secret Garden collection. This double sided collection is spectacular with assorted patterns and colors. 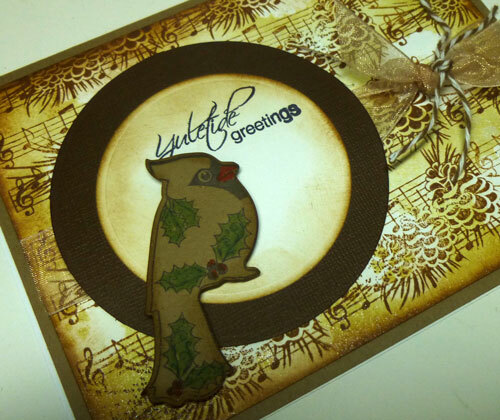 The flourish was die cut from Wausau Cardstock and added behind the image. I used Sakura's Gelly Roll pen to add a little glitter to the flowers behind Jack's back. 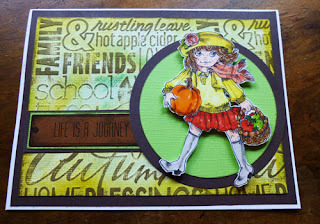 Have you seen the new Wee Whimsy Stamps yet? They are simply adorable and I am amassing quite a collection! 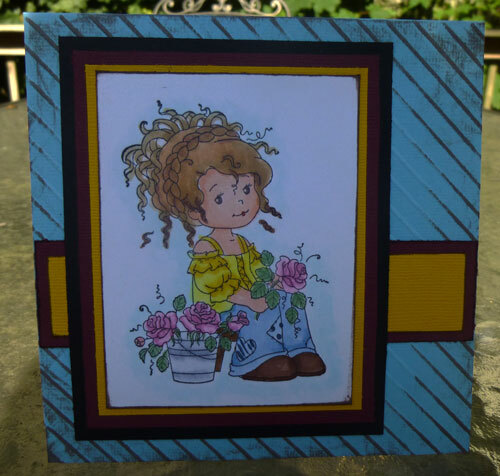 I colored Dandelion Girl with Copic Markers, then cut around her with a Spellbinders label die. A larger die was used to mat the image. The papers are from Prima's Divine paper pad. The ribbon is from May Arts and the twine is from the Twinery. They added just the right touch to this card. I have 2 cards today, both using Bo Bunny's Anthem paper pad. Love it!!! Both are perfect for 4th of July celebrations. I've used new Whimsy stamps: Amy and Wee Florist. 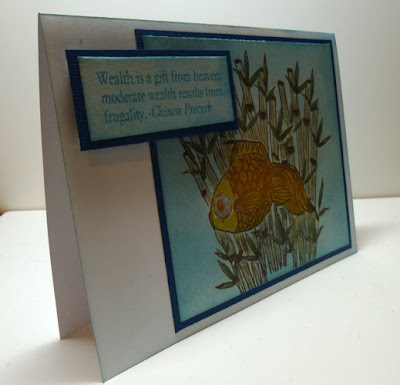 The front of this card was cut from one of the papers in this pack, just trimmed to fit a 5 1/2" card. Amy was colored with Copic Markers and added to the card front with foam adhesives for dimension on die cut ovals. The card was inked with Clearsnap's Chestnut Ink. This wood background paper with it's smattering of color was the perfect backdrop for Amy. She was colored with Copic Markers, cut out and then added to the card front with foam adhesives for dimension. Clearsnap is Made in the USA so what better time to celebrate that fact than on the 4th of July! Hop along with the Clearsnap team as they share patriotic projects to ring in this Independence Day here in the US. Start at the Clearsnap blog for your chance to win one of our EXCLUSIVE Limited Edition 3 Color Red, White, and Blue ColorBox Pigment Inkpads!! In honor of Independence Day, I created a red, white and blue tri fold card. Cut cardstock 5 1/2" x 11" and score at 2 3/4" and 8 1/4". Fold on the score lines creating a tri-fold card. Cut cardstock and music pattern paper to fit each panel. 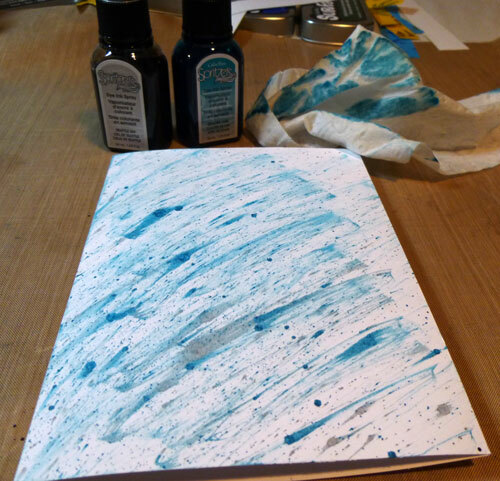 Ink the music paper with blue ink, moving the ink into each panel. The Petal Point Ink pads allow you to add just a little ink with the pointed tip or a lot more ink with the rounded end. 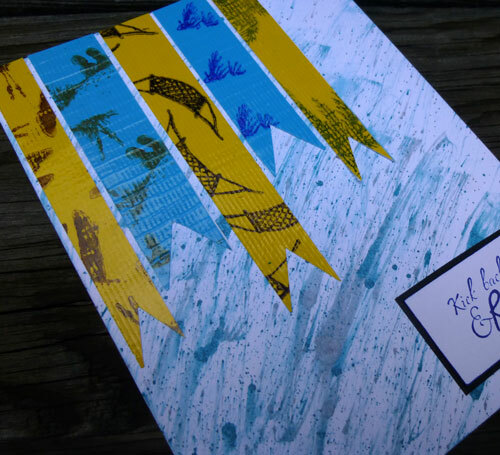 Cut pattern paper for the interior of the card and ink with blue ink. Mat with cardstock and adhere to the card. 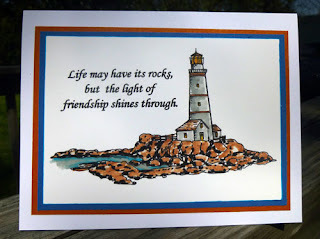 Stamp sentiment with red ink on white cardstock and emboss with clear embossing powder. Ink the edges with red ink and mat with blue cardstock before adhering to the card. Die cut a label shape for the card front from blue cardstock. 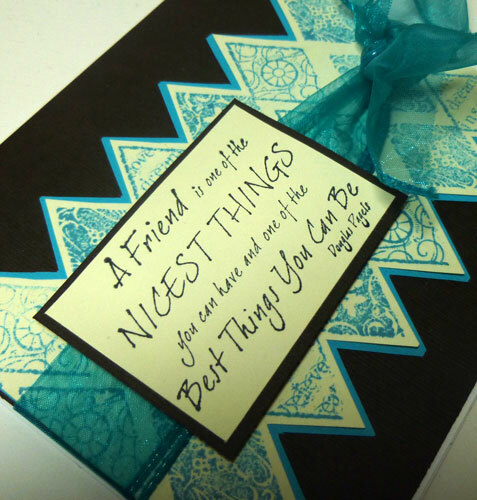 Stamp a sentiment on white cardstock and emboss with clear embossing powder. Adhere the sentiment behind a chipboard embellishment and adhere to the label. Adhere this piece to the left side of the card. We welcome your comments along the hop.